Established in the year 2013 at Jaipur district of Rajasthan, India, we, " Metal Joints Manufacturing Private Limited", are one of the prominent manufacturers, traders, suppliers, distributors, exporters and importers of Exhaust Valve and Grills. Offered product range comprises Industrial Diffusers, Deflection Grill and Metal joint. By using advanced and sophisticated tools, our professionals manufacture the offered grills and diffusers in fulfillment with the industry set norms and regulations. As per the specifications and demands provided by the clients, these grills and diffusers can be custom designed at our end. We are importing from China Malesia, Thailend and Japan and exporting in UAE. Owing to their easy installation, robust design, resistance to corrosion and longer serving life, these diffusers and grills are highly demanded. Offered by us at affordable prices, these grills and diffusers are available with us in bulk quantities owing to our large production capacity and well-equipped warehousing unit. For the purpose of maintaining the best possible quality, we have set up a huge in-house quality testing unit. We were established as a private limited company and are operating under the supervision of our mentor, "Mr. Tapan Basu Roy". Owing to his experience and knowledge of this domain, we have been able to cater a huge clientele across the world. 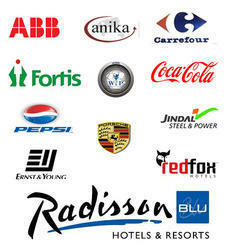 Some of our valuable clients are World Trade Park, Coca Cola, Pepsi, Porsche and Jindal Steel & Power. Manufacturing and Trading of Air Distribution Products like Grilles, Diffuser, Louvers and Dampers. Owing to our customer-centric approach, we have been able to cater to needs of our valuable clients in the most efficient manner. We have set up a huge distribution network that is well connected with different modes of transport, for ensuring the timely delivery of the offered grills and diffusers at the clients’ end. For the ease of our clients, we offer them multiple modes of payment such as cash, online and demand drafts. We at Metal Joints Manufacturing Private Limited have appointed a team of extremely skilled and hard working professionals. They are appointed by our management after carefully assisting their skills, knowledge and experience. Moreover, by following various customer centric approaches while working in close proximity with clients, our workers precisely understand the requirements of our valuable clients. In addition to this, they work in close proximity with each other, to avoid any kind of troubles in the workplace. Our ethical business practice and transparent transaction policy has helped us in winning the trust of our valuable clients in the most efficient manner. Under the able supervision of our mentor, we at Metal Joints Manufacturing Private Limited believe in providing our clients with best in class drills and diffusers at affordable prices. In addition to this, we provide our clients with customized solution, keeping their convenience in our mind. Driven by an intense desire to attain maximum customer satisfaction, our team of quality controllers ensure that the optimum quality of the offered drills and diffusers is never compromised. To manufacture and supply best in class grills and diffusers, we have established a huge infrastructure. Supported by an advanced and ultra-modern infrastructural, we have been able to manufacture a wide variety of metal drills and diffusers in bulk quantities. Spread over a vast area of land at Jaipur district of Rajasthan, India, our infrastructure consists of manufacturing, warehousing and sales & marketing units. In addition to this, infrastructure is capable of manufacturing high quantity drills and diffusers her hour.